Waymo, a Google spinoff, is accusing Uber of stealing its self-driving car technology to win the race to commercialize the cars for the ride-hailing market. It claims its former engineer, Anthony Levandowski, downloaded 14,000 trade-secret files before resigning in January 2016 and used them to start driverless trucking startup Ottomotto. It says Uber knew about the theft but bought Ottomotto for $680 million to get Waymo’s technology after its own efforts to build autonomous vehicles failed. The trial, which begins Feb. 5, has been postponed twice, most recently in December, when a demand letter surfaced accusing Uber of setting up an intelligence team to steal trade secrets from its competitors, including Waymo. Uber sent the letter to the Justice Department last June to investigate the allegations, made by a former Uber employee. But Uber didn’t tell Waymo about it, prompting U.S. District Judge William Alsup to delay the trial to give Waymo time to look into the new evidence. The Justice Department confirmed later in December that it is investigating Uber for criminal misconduct. The 37-page letter also revealed Uber stores its competitors’ trade-secret information on computers that bypass its servers, and that its employees communicate about the information using encrypted messaging applications that destroy messages after a certain amount of time. Uber says it is innocent because Waymo’s trade secrets never made it to its servers; multiple searches turned up nothing. But the letter states Uber used the tactics to keep trade secrets off its servers to avoid disclosing them in civil and criminal cases. Last September, Alsup delayed an October 2017 trial date after Waymo said it didn’t have enough time to review key evidence Uber had just turned over – a due-diligence report prepared by digital forensics firm Stroz Friedberg in preparation for the Ottomotto acquisition. Waymo received the report three weeks before the trial after Uber, claiming privilege, opposed producing it and the Federal Circuit denied a subsequent appeal by Levandowski to keep it out of Waymo’s hands. Levandowski is not a defendant in Waymo’s lawsuit, but he faces a criminal probe stemming from the allegations. 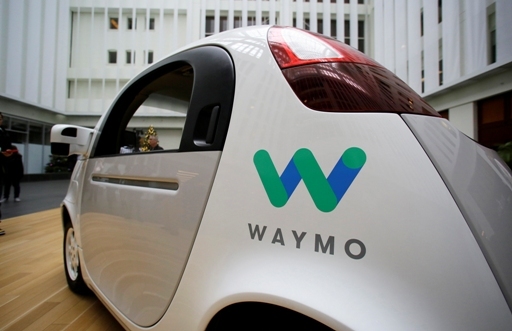 On Tuesday, Alsup said he would allow Waymo to argue for a permanent injunction – but not damages – based on Uber giving its trade secrets to Stroz Friedberg and to law firm Morrison & Foerster during the due-diligence investigation. Morrison & Foerster represents Uber in the case. Alsup said he would allow Waymo to argue that Uber misappropriated its trade secrets by disclosing them to at least one circuit board vendor, Gorilla Circuits in San Jose. Alsup also ruled in an order unsealed late Tuesday that Waymo can’t tell the jury during its opening statement that Levandowski invoked his Fifth Amendment rights against self-incrimination to avoid cooperating with Uber’s internal probe into the allegations. The judge refused to change his ruling when Waymo objected at oral argument. He granted Waymo permission in the order to tell the jury Uber spied on it and used self-destructing messaging applications to hide stolen trade-secret information, though he barred evidence that Uber stored the information off its servers. Likewise, Alsup allowed Uber to respond that it spied on all its competitors and that “Waymo was not special in that regard.” He plans to tell the jury that Uber took too long to disclose that Levandowski destroyed disks containing Google information he had after leaving Waymo, and that it can draw negative conclusions about Uber based on it. Finally, Alsup said he would close the courtroom when the parties discuss trade secrets during their opening statements, a request made by Uber’s lead lawyer William Carmody of Susman Godfrey. “This is a case that is the biggest in the history of Uber,” Carmody said. “If we can’t talk about the science behind [the trade secrets], so the jury has some sneak-peak, how can we adequately defend ourselves?